The EZ Frost literature rack will keep your booth organized and make it easy for shoppers to find your handouts and catalogs. 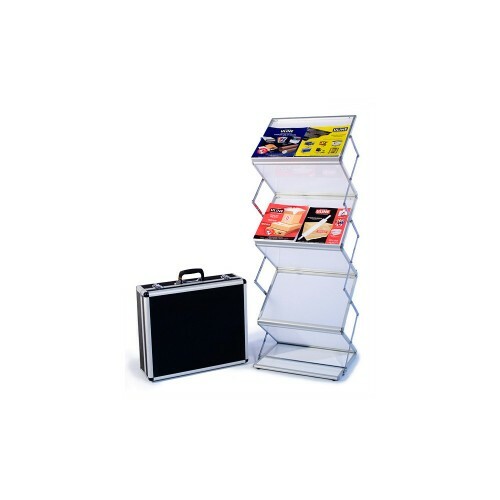 This EZ Frost is double wide with 6 shelves for displaying your marketing literature. The frosted catalog holder shelves provide a clean and professional look. Single and double widths are available. Includes a hard carrying case for easy transport.